Representatives of the Alliance Community Church will return to the Martha’s Vineyard Commission (MVC) Thursday, June 20, for the continuation of a public hearing concerning the church’s plans for expansion. The church is at the entrance to a cul-de-sac on 1 Ryan’s Way, off the Edgartown-Vineyard Haven Road in a residential neighborhood in Oak Bluffs. Neighbors have criticized the size of the church and the use. On May 16, at the opening of the public hearing, representatives of the church, formerly known as Assembleia de Deus Nova Vida (Assembly of God), presented plans for a 4,500-square-foot addition, plus a 4,500-square-foot basement, to the existing 7,000-square-foot property. The proposed expansion would result in a total gross square footage of 16,084. The church is also expected to present a revised site plan that includes changes to the floor plan, parking scheme, and landscaping design that was presented earlier. “It’s an amorphous plan,” Paul Foley, DRI analyst and planner for the MVC, said in a phone conversation Wednesday. The design, by Darran Reubens, an architect acting in an unofficial capacity, calls for the rearrangement of parking spaces in an effort to preserve more trees, as well as a two-way circular driveway off Ryan’s Way. According to the minutes of last month’s commission meeting, several residents criticized the size of the building. Russell Wendt of 19 Ryan’s Way complained that the current owners keep breaking the rules. The residents of Ryan’s Way love living on their road and having a nice quiet street, he told the MVC. Preston Averill of 15 Ryan’s Way described the landscaping business that he said was operated illegally on the property last summer. “There were trucks, equipment, and materials, and suddenly it all disappeared when the MVC made their site visit,” Mr. Averill said. He asked the MVC to confirm that the trucks and equipment won’t reappear. The MVC originally approved the 150-seat church as a development of regional impact (DRI) in 2008. At that time, the church was approved for a 150-seat chapel on the second floor of the existing building and a 28-child daycare center on the bottom floor. The daycare center has since moved. In 2012, church leaders returned to the MVC with plans to expand. 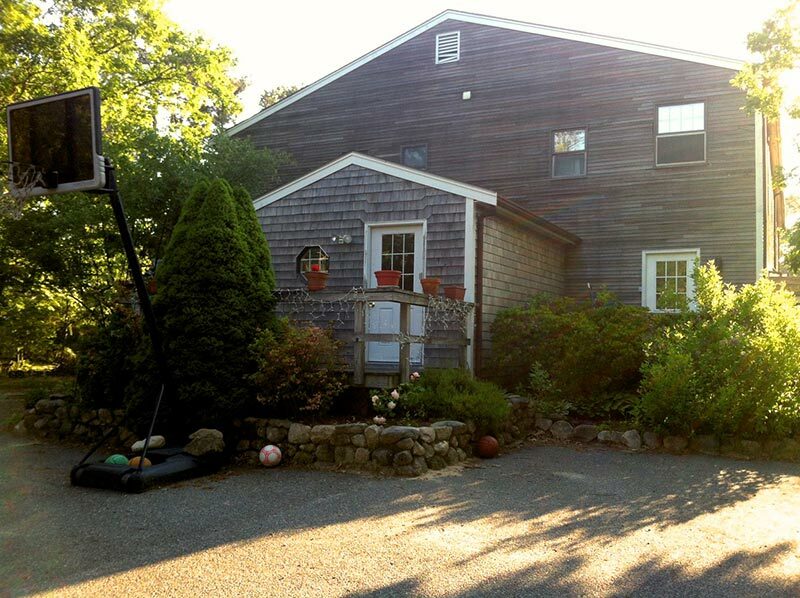 Located in a residential area, nearby buildings include non-residential structures such as the Martha’s Vineyard Regional High School, the YMCA, and the Martha’s Vineyard Arena. The Church of Latter Day Saints bought property next to the Alliance property, but has yet to develop its land. Alliance Church Pastor Valci Carvalho could not be reached for comment. Prior to being acquired by Alliance Church (Christian and Missionary Alliance), Nova Vida had an estimated congregation size of 85 to 90 people. However participation has since decreased to between 65 to 80, according the MVC staff report. The church describes itself as “a light-bearing, Jesus-centered missions and church-planting movement with the deeper life at its heart.” Their “church-planting efforts” focus on bringing unreached people to Christ by building and empowering new disciples, then releasing them to reach others. Church leaders plan to use the new building to offer services Wednesday, Friday, and Sunday evenings every week, with study and counseling hours on Monday, and one or two weddings a year. According to the MVC report, prior to 2006, the structure was used as an 11-room boarding house and former dance studio. The 1.5-acre property was purchased for just over $1 million by Pastor Carvalho and sold to Assembleia de Deus Nova Vida Church on the same day. In 2008, following complaints that the property was being used to store landscaping equipment and as a rooming house, Oak Bluffs building inspector Jerry Wiener issued a cease and desist order on both accounts. Mr. Wiener has since retired. According to the MVC, the church continued to use the basement to offer sermons despite the cease and desist order, and in 2010, applied for and then withdrew a proposal to place a large tent in the front yard to use for church services three nights a week during the summer, with amplified music. While the current proposal has a smaller building footprint, compared with the proposal made in 2012, there is more square footage in the overall design. Based on the MVC minutes, an earlier version of this story referred to Darran Reubens as an architect. Although he is trained as an architect, Mr. Reubens is not licensed in Massachusetts and is only a consultant to the church.